If it didn’t look like an Orange, I’d never guess it was one of sound alone. I think I’m gassing for this amp, and I’m not big on clean...Also, I never knew Jamiroquai was such an awesome player! Just stunned.. its awesome, particularly that reverb. The more I hear that amp, the more im inpressed. I really like the cranked tone of it, just right anount of overdrive. I bet it sounds really good pushed hard. I just would love to try one next to a deluxe reverb. I'm sure a shoot out between these 2 will eventually be done. My issue would be the clean headroom and lack of preamp gain. I like preamp gain. My Blackpearl has a choke too, and it can be terribly loud and clean. I like dirt. My first thoughts as well. 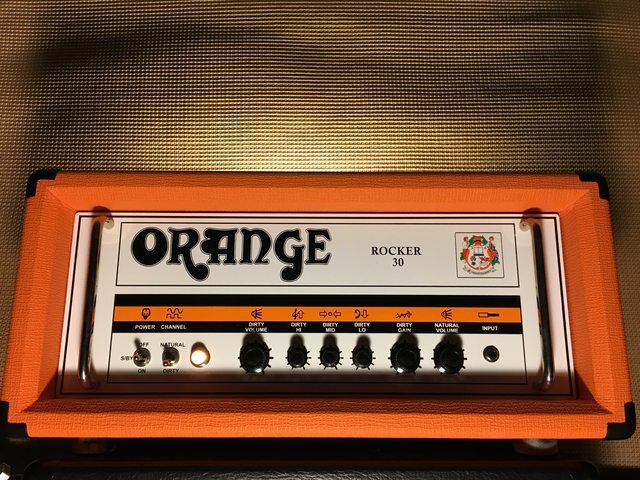 That is one seriously cool amp.